Books at the early childhood, elementary, middle school, and high school levels covering all aspects of the curriculum--language arts, social studies, math, science, technology, and the arts. 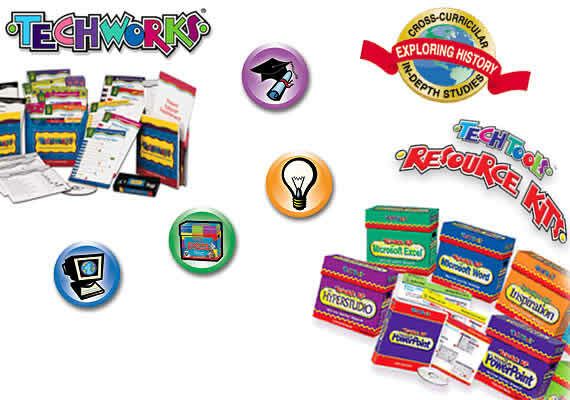 In addition, they help teachers and parents create stimulating learning environments by producing colorful bulletin boards, stickers, awards, notepads, postcards, name tags, and incentive charts. Teacher Created Materials provides professional development solutions to thousands of educators each year ... and can save teachers TIME! They have an impressive history of growth, introducing hundreds of new products each year and reaching a worldwide market of over 45 countries.